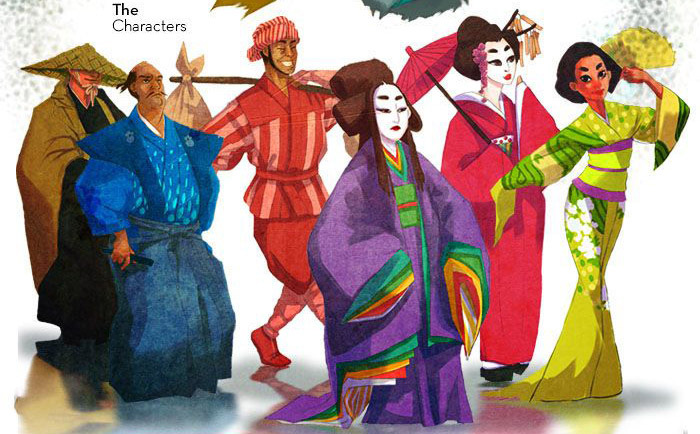 It’s a lot of work that goes into the creation of a new game – and launching a Kickstarter. Todays interview is with artist behind a Kickstarter project that is 80+% funded, as we write, of a feasible goal. Her name is Rochi Ogñenovich a.k.a. RochiSour. The game is a family project together with her husband Sebastian, and we guess their both must be filled with anxiety, when ONI is closing in on the end date. (UPDATE – ONI has been fully funded!) Here at GHG we believe that the real quality of a game can’t be measured from whether you succeed or don’t succeed a Kickstarter – but as a audience we try to analyse the given information. 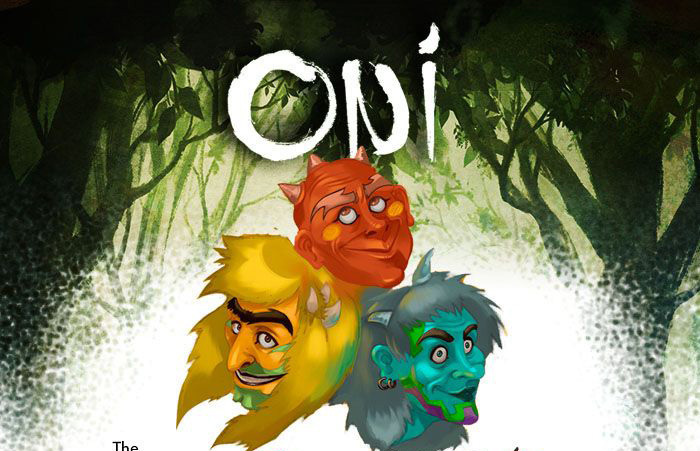 ONI seems like a easy to learn game and the art is colourful, stylish and great looking – so why don’t just go pledge HERE now and read on afterwards. WE welcome Rochi Ogñenovich a.k.a. RochiSour from Argentina. 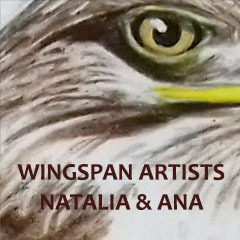 Could you tell us a little about yourself, your background and how you became the artist you are today? Well, i’ve drawn for as long as I can remember, as a teenager discovered anime and comics and its a love that never really left me! As an adult I found hard to become an illustrator, I studied graphic design and I’ve been working as a motion designer for tv channels since I finished university. Tell us how you got to work on ONI. Are you the sole artist, and who did the graphical design (layout of text, icons etc.) ? 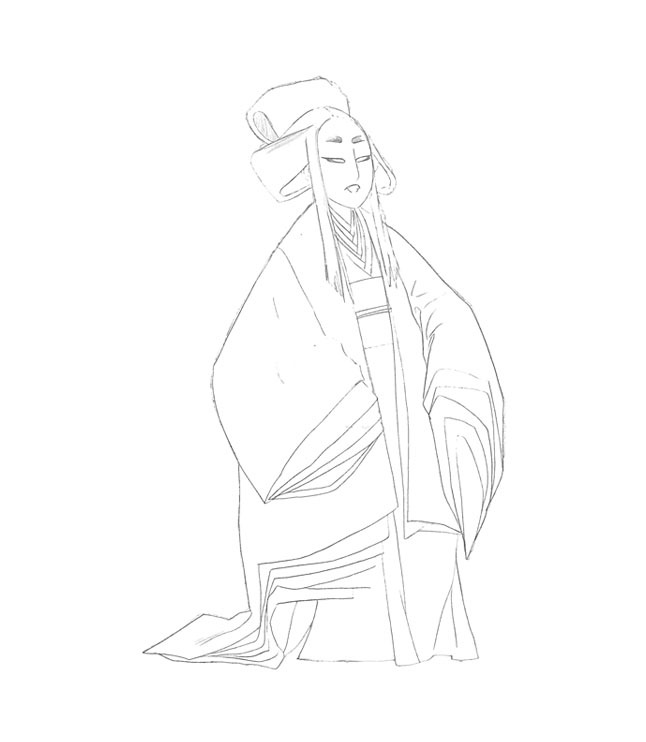 The one who created the chance was my husband, he is an excellent video and board games graphic designer who specialized in pixelart and asked me to participate in the process of Oni. He designed the game mechanics and asked me to draw for it, I also chose the fonts (i love Rennie Macintosh’s work and french japonisme… I thought they worked pretty well together!) the logo is also mine, did it with a brush and finished it in photoshop. He ( Sebastian Koziner) then laid the rest of the cards layouts. How long have you been working on the art for ONI? What other things(books, games etc) are you proud to have worked on? Well, the game Presos from Guillermo Aberbuj, and we have started working on a future game with my husband. No, I usually start by hand, pencil, sometimes ink and then scan and finish in photoshop. How was your workflow on ONI? How was the motives, colors, viewing angles decided and how did you capture the japanese atmosphere? Well, with my husband we practise Kenjutsu, Iaijutsu an Jojutsu. We both read and love japanese culture, and wanted to do something related to the japanese folklore for some time. 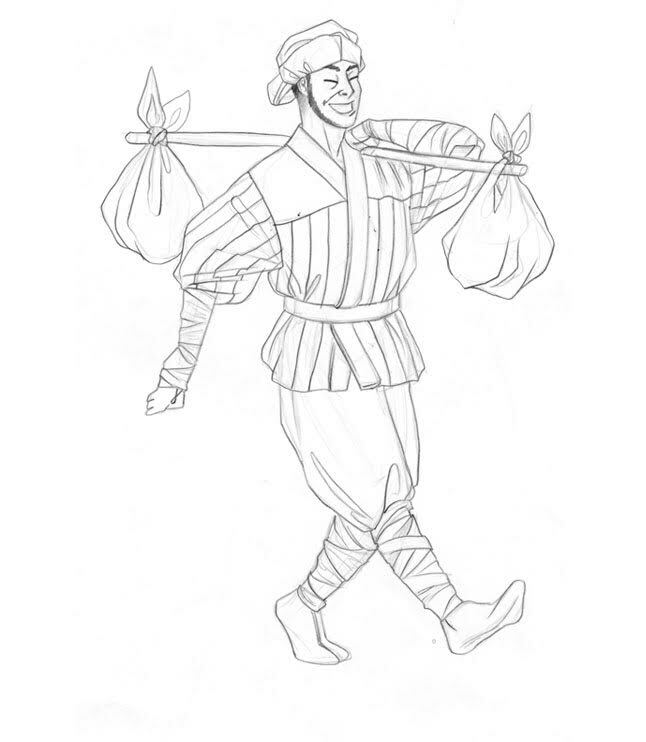 When the chance rise, he asked me to draw for the project, we investigated the sort of Japanese characters could be used and tried to keep our references as close to the historic medieval japan. At first the characters were killed, but we wanted to do something closer to our point of view in life… We ended up with a tournament amongst Oni’s, more or less like demons but not quite as occidental demons… More mischievous than evil and characters would trip and fall but be killed at a parade. Which is your own favourite ONI card/illustration ? Well the background in the main illustration, with the Japanese castle and the bridge! And of course the 3 ONIs, probably because of the shading. Clarity! Hoping everything will be clear and understood when you’re not there to explain without falling in common places. Is there any special techniques you use in the creation you what to share? Well… In this project many things were drawn by hand and then colour was in photoshop. Do you like to have many layers (working non-destructive) or few layers (work more intuitively)?. What is your favourite kind of illustration job? How much was you involved in the Kickstarter page. What do you do to promote the game these last days, besides this interview? Well i’ve published in Behance, we were done some interviews locally and move through gamers circles and events, we unluckily cannot afford for now to travel abroad to the main and biggest games conventions such as Essen or GenCon. But Sebastian is very active in BoardGameGeek, and we’ve paid for adds there to get though people there. Well… From my country Abril Barrado and Matias Pan. From abroad Hayao Miyazaki, Brosa, Ilya Kuvshinov, Nesskain, Adam hugues, and wouldnt be fair not to mention Caravaggio, Mucha and Klimt! Well… Catan and Cosmic Encounter are the ones I play the most! Any words of wisdom you could give on getting into board game art? Finally – is there any place of inspiration, personal portfolio, shop links or other resources you want to advocate? Well… Deviantart might be one of the oldest but still features great artists such as Loish, Neskain, and others i’ve mention. Boardgamegeek is a good reference and there’s a lot of artists featured. Thank you for sharing and we hope you get the last backers. Thanks for everything and hope you back this game we made with love as some sort of second son! We first successfully published in Argentina and its now our dream to see our game in new and far corners of the world! 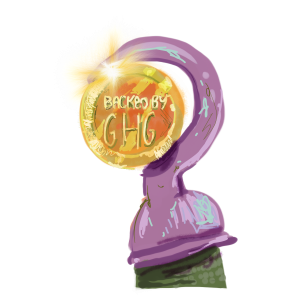 To the readers of GHG we would love to have you in the club (subscribe).